​Ten years ago, my Dad was placed on the organ transplant list through Northwestern Medicine in Chicago. Knowing the uncertainty of the transplant list, my brother Terrence underwent several tests to find out if he could be living donor match. Terrence received the phone call and shared the news with our family on Father's Day 2009. Our entire family was worried about my dad and brother,they would both be undergoing major surgery at the same time. My brother donated 60% of his liver to our dad. I will be forever grateful and proud of my brother for saving our Dad's life. He demonstrated a true act of love, generosity, and courage. To pay tribute to our family transplant, I designed the Transplant Tree of Life. It is two trees intertwined symbolizing the recipient and donor. ​The trees will forever be connected. 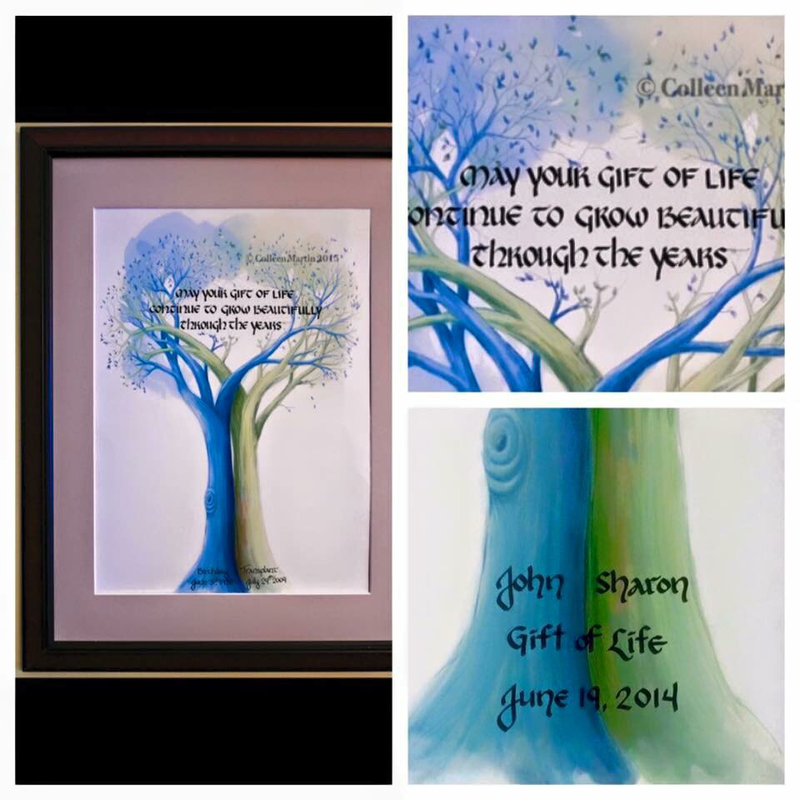 ​Each Transplant Tree of Life print is personalized with the organ recipient's name and Gift of Life on each tree trunk. This customizable gift is perfect to connect two beautiful lives forever. The trees symbolize the organ recipient (blue tree) and donor (green tree). The two trees become intertwined as one, the branches were even designed to look like arteries. Transplant brings two lives together as one. Each print is 14 X 20 and is hand lettered in calligraphy with your birthdate and transplant date(s). The tree is a beautiful piece to remind of us the gift of life that we have. A great gift to give to thank your living donor. Each tree is hand lettered in calligraphy with the date of the transplant. Dedicated to family members who have given the Gift of Life. 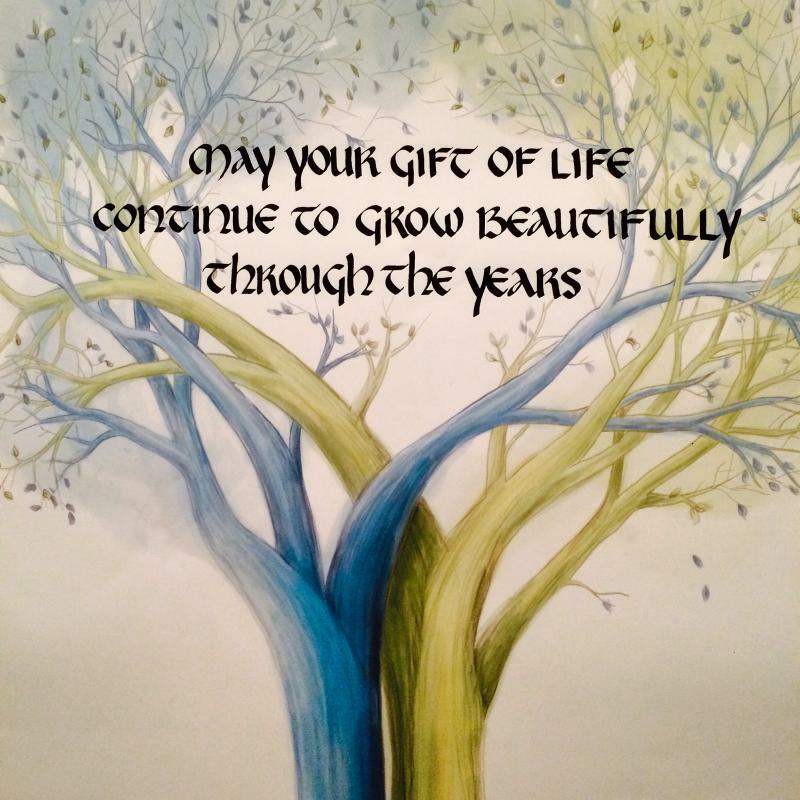 Each tree is hand lettered in calligraphy with your donor family name and date. 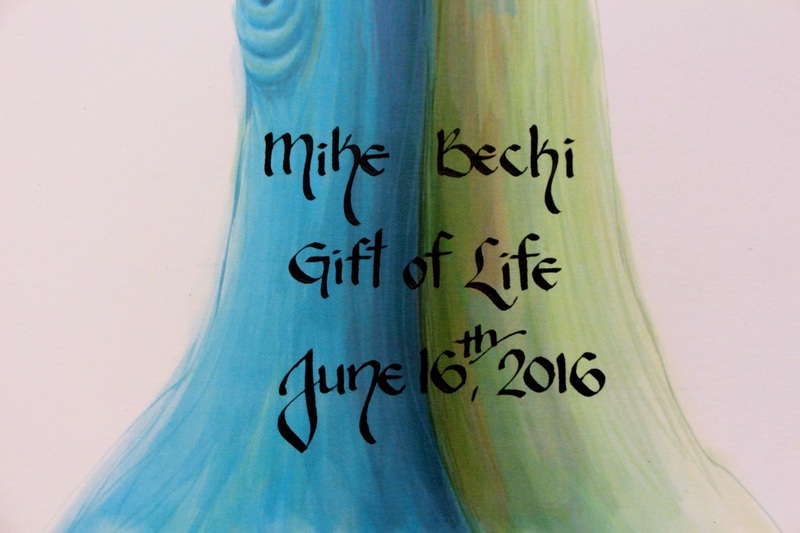 It is a beautiful way to acknowledge and remember the person that gave the gift of life. When purchasing, please indicate the recipient / donor's name and transplant date.